A quick and scenic fifteen-minute drive North on County Road 98, takes you from Davis to the doorstep of Westgate Village, Woodland’s best kept housing secret. This Woodland apartment community offers a slower paced lifestyle and home-like floor plans with washer/dryer, garages, and private yards. 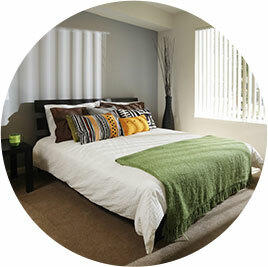 Come enjoy your stay at your Westgate Village apartment in Woodland! Dig into floor plans, amenities and more on the Westgate Village website.